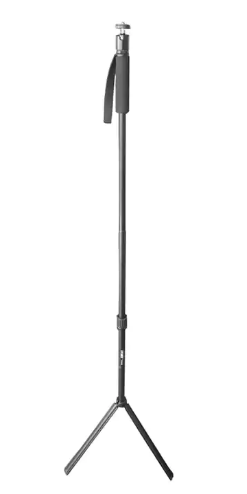 Fotomate V-Pod-M is a medium-sized monopod with folding tripod legs, and it can work well with 360 cameras. Monopods can work well with 360 cameras because the tripod legs are farther away from the camera and can occupy a smaller portion of the nadir compared to a conventional tripod. 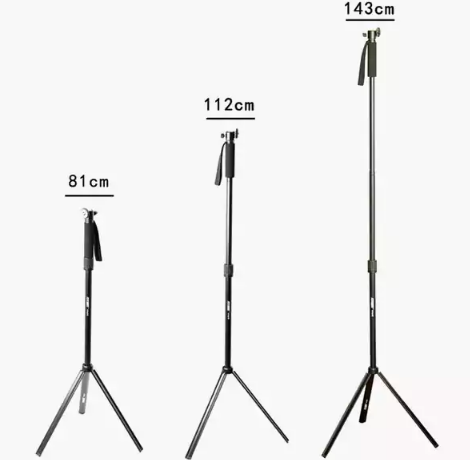 Fotomate V-Pod-M is a medium-sized monopod with built-in folding tripod legs that extends to 117cm (46 inches) without the tripod legs, or 143cm (56 inches) with the tripod legs deployed. When not being used, Fotomate folds down to 55cm (21.7 inches). It is made of aluminum and is rated for up to 1.3 kg. Fotomate has a mini ballhead so that it can also be used with a conventional camera or a smartphone (when used with a 1/4-20 smartphone adapter). It is available from GearBest. To get the best price, use the code GB10% which will give you a 10% discount! Can the ball head be removed? Hi Spillo! 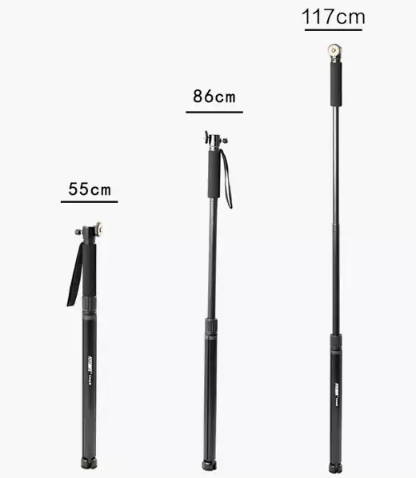 I don’t have this monopod, so I’m not sure. For most monopods like this, the ballhead is not removable. I’ll try to ask if GearBest can send me one to test. I went ahead and ordered this. Received today. The ball head is removable. Too removable. It barely has a couple of threads to grab. So I wouldn’t trust a camera to stay fixed. I was hoping that the tripod legs were removable so that I could attach the pole to the legs of my choice. No such luck. They are fixed. So a disappointment. And it won’t be used by me. It does have a nice flexible pouch through. Anyone want this at half price let me know. Hi Bill. I’m sorry to hear that. Pls. email me and I’ll get a refund for you. Hmmmm. Monoshot or this? This is less expensive. Monoshot folds down a couple of inches shorter. And is taller at full extension. Fotomate has only one extension knob. And is the type that should be less visible in a 360 nadir. Monoshot tripod looks more robust and is adjustable for uneven surfaces.